Dragon Pearls is a very pretty tea. It’s hand rolled tea leaves that are mostly two colours. I found with the bag that I had purchased from DavidsTea, they’re generally uniform in size. There’s a fragrance to the pearls that is very floral with a heavy jasmine aroma. This is a green tea, so a jasmine scented green tea isn’t out of the realm of possibilities. The ingredients do not include jasmine, however, like DavidsTea’s jasmine green teas are often described as being ‘scented’. 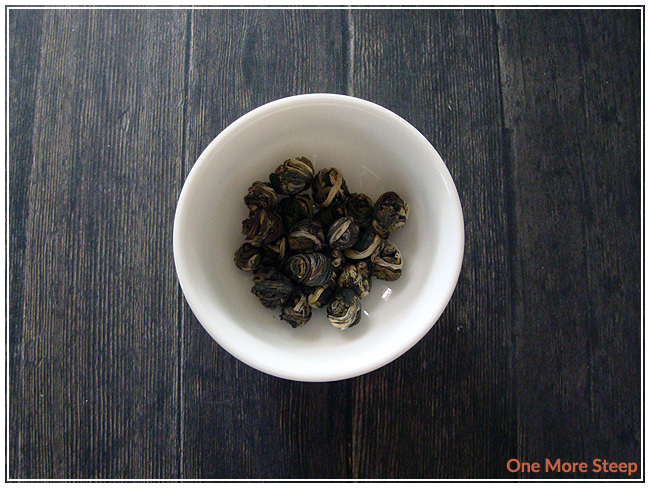 The ingredients for Dragon Pearls are: Chinese green tea from Zhejiang Province. As far as green teas go, this isn’t the least expensive option that DavidsTea has (it also isn’t the most expensive – that honour goes to their Butterfly Jasmine and some expensive matcha options). DavidsTea recommends steeping Dragon Pearls in 85°C (185°F) water for 3 to 4 minutes. They steeping instructions also mentions using 1 ¼ teaspoon of tea. Because the pearls will expand and unfurl, I would not recommend using that much. 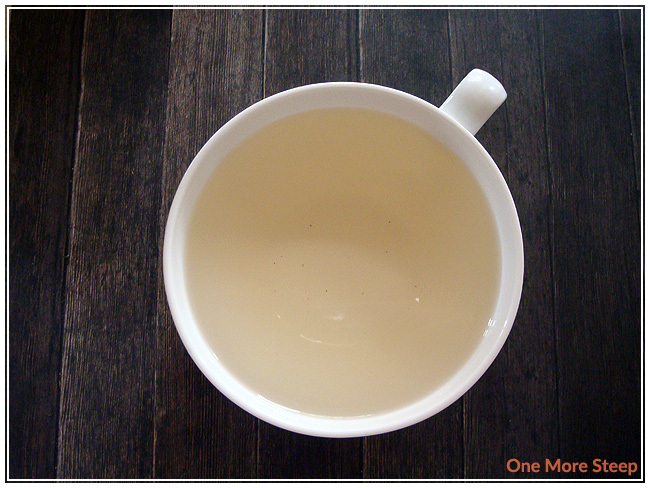 I used about 10 of the little pearls in my Tea For One pot (which produces about 2 cups of tea) – I would recommend using about 5-6 pearls for 1 cup of tea. Dragon Pearls is a very nice green tea. The pearls unfurl to reveal full tea leaves, which is nice. The steeped tea has a light floral aroma to it, which is nice. The tea itself is very smooth with a buttery quality to it. There is a natural sweetness to the tea. I had steeped it for about 3 minutes for the first steep, I feel that the steeping time recommended by DavidsTea is fair – I would not over steep this tea (or any other green tea) because it could go bitter very easily. Steeping for 3 minutes resulted in a cup of tea that was not bitter at all and was very enjoyable. 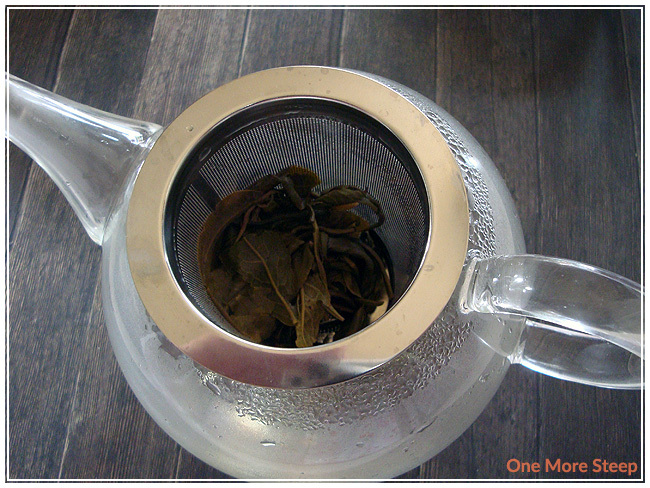 I resteeped the same tea leaves an additional three times. I add about 30 seconds of steeping time for each subsequent steeping. The flavours did get better for steep #2 – it was a little sweeter, the floral taste was more present on my tongue, and it had the same great buttery quality. I think steeps 3 and 4 were very similar to steep #2. This tea does improve when you resteep it, which is a nice quality to have in a tea. 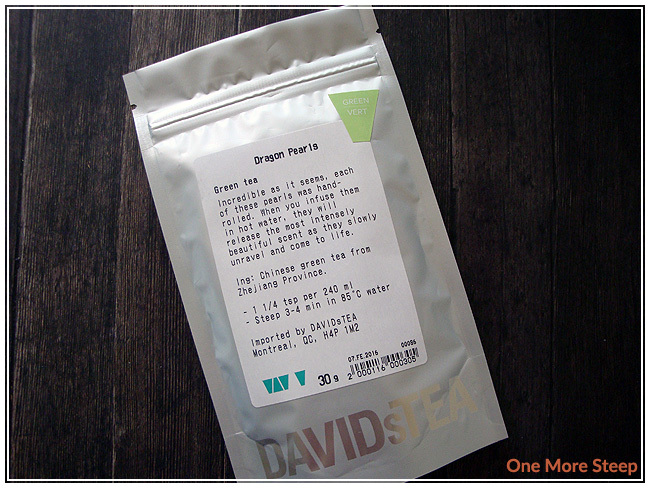 I loved DavidsTea’s Dragon Pearls. While it isn’t the least expensive green tea I’ve tried, it has some added value by being very easy to resteep – which is a bonus whenever you have an expensive tea, you get more bang for your buck with resteeping! It has a great natural sweetness that I think is easy on the palate. The buttery quality kept me wanting to resteep it, it’s just a very enjoyable tea overall. It doesn’t need anything extra (in my opinion), the only thing you need to watch is that you don’t burn it with water that’s too hot or steep it for too long.